Many have probably wondered what ive been upto ? Well guys i have my head down working hard to put together a reference book on the USAAF . And i have been approached by a publisher who has kindly offered to take the project on . 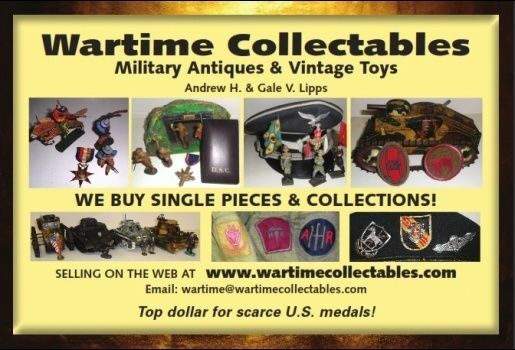 Im still working hard on collating information and photos but have been reliably informed that it will fill a hole in the colecting world of USAAF collecting . So there we have it , i havnt left or turned my back on my friends , just had to take the time thats needed for such a task . I do hope i have you on side in this venture ? Always looking for quality condition USAAF stationary,ephemera,equipment and clothing. Let us know if you need any help..
You can all be sure of that brother !!! I better be in line for an autographed copy! Seriously do not be afraid to ask for help or an item or two that you may need to photograph. Good luck Littlebuddy! Excellent news, Carl! Look forward to seeing the finished product! Its going to be a bit of a long haul but i thank each and everyone of you for the offers of help . Basically im looking for quality hi res pics of AAF items that show the item name and contract number . Ill post individual requests of items in the main forum page . But any help will be appreciated ! Thanks all for the kind words of encouragement ! Quite a productive weekend for collating information . I have down now ,probably 12 different items . with full contract details . Plenty more to get to grips with , but i suppose thats all the fun !! Another productive week of evenings spent collating ! Should be a complete list now of one type of flight suit ! !